07-28-1540 – King Henry VIII of England’s chief minister, Thomas Cromwell, was executed and Henry married his fifth wife, Catherine Howard. 07-28-1750 – The great baroque composer Johann Sebastian Bach died. 07-28-1794 – Robespierre, one of the leading figures of the French Revolution, was sent to the guillotine. 07-28-1821 – Peru declared its independence from Spain. 07-28-1868 – The 14th Amendment to the Constitution, which established the citizenship of African Americans and guaranteed due process of law, was ratified. 07-28-1914 – Austria-Hungary declared war on Serbia, precipitating the start of World War I. 07-28-1932 – Herbert Hoover ordered Douglas MacArthur to evict the Bonus Marchers from their camps. 07-28-2002 – Nine Pennsylvania coal miners were rescued after 77 hours of being trapped in a mine shaft. 07-29-1890 – Artist Vincent van Gogh died of a self-inflicted gunshot wound in Auvers, France. 07-29-1958 – President Eisenhower signed the congressional act that created the National Aeronautics and Space Administration (NASA) was authorized by Congress. 07-16-1790 – The District of Columbia was established as the seat of the United States government. 07-16-1918 – Russia’s Czar Nicholas II and his family were executed by the Bolsheviks. 07-16-1945 – The first atomic bomb was tested in Alamogordo, N.M.
07-16-1951 – J. D. Salinger’s novel Catcher in the Rye was published. 07-16-1969 – Apollo 11 took off on the first manned flight to the moon. 07-16-1979 – Saddam Hussein became president of Iraq. 07-16-1999 – John F. Kennedy, Jr., his wife Carolyn Bessette, and her sister Lauren, died in a plane crash near Martha’s Vineyard, Massachusetts. 07-17-1821 – Spain ceded Florida to the United States. 07-17-1898 – Spain surrendered to the United States at Santiago, Cuba, ending the Spanish-American War. 07-17-1917 – The British royal family changed its name from the House of Saxe-Coburg-Gotha to Windsor amid anti-German senitment during World War I. 07-17-1945 – President Harry Truman, Soviet leader Joseph Stalin and British Prime Minister Winston Churchill meet at the opening of the Potsdam Conference. 07-17-1955 – Disneyland opened in Anaheim, Calif.
07-17-1975 – The American Apollo and Soviet Soyuz spacecraft linked up for the first time. 07-17-1998 – The last Russian Czar Nicholas II was buried 80 years after he and his family were executed by the Bolsheviks. 07-18-0064 – A great fire began that ultimately destroyed most of Rome. The emperor Nero blamed it on Christians and began the first Roman persecution of them. 07-18-1936 – The Spanish Civil War began. 07-18-1947 – President Harry S. Truman signed the Presidential Succession Act. 07-19-1848 – The first women’s rights convention, called by Elizabeth Cady Stanton and Lucretia C. Mott, was held in Seneca Falls, New York. 07-19-1870 – The Franco-Prussian war began. 07-19-1941 – Winston Churchill was the first to use the two-finger “V is for Victory” sign. 07-19-1984 – Geraldine Ferraro became the first woman nominated for the vice-presidency by a major political party. 07-19-1993 – President Clinton announced the “Don’t ask, don’t tell” policy regarding gays in the military. 07-20-1810 – Colombia declared independence from Spain. 07-20-1881 – Fugitive Sioux Indian leader Sitting Bull surrendered to federal troops. 07-20-1951 – King Abdullah I of Jordan was assassinated. 07-20-1960 – Sirima Bandaranaike of Sri Lanka (then Ceylon) became the world’s first woman prime minister. 07-20-1969 – Astronaut Neil A. Armstrong was the first man to walk on the Moon. 07-20-1985 – Treasure hunters found the Spanish galleon Nuestra Senora de Atocha, which sank off the coast of Key West, Fla., in 1622 during a hurricane. The ship contained over $400 million in coins and silver ingots. 07-14-1789 – The storming and destruction of Bastille marked the beginning of the French Revolution. 07-14-1798 – Congress passed the Sedition Act, making it a crime to publish false, scandalous, or malicious writing about the U.S. government. 07-14-1881 – Billy the Kid was shot by Sheriff Pat Garrett in New Mexico. 07-14-1921 – In one of the most controversial cases in U.S. history, anarchists Nicola Sacco and Bartolomeo Vanzetti were convicted of two murders and sentenced to death. 07-14-1933 – In Germany, all political parties except the Nazi party were outlawed. 07-14-1946 – Dr. Spock’s Common Sense Book of Baby & Child Care was published. 07-14-1958 – A military coup overthrew the monarchy in Iraq, killing King Faisal II. General Abdul Karim Kassem becomes Iraq’s leader. 07-15-1870 – Georgia became the last of the Confederate States to be readmitted to the Union. 07-15-1918 – The Second Battle of the Marne began during World War I. 07-15-1948 – John J. Pershing, whose leadership in World War I earned him the title General of the Armies of the United States, died in Washington, DC. 07-15-1975 – The Russian Soyuz and the U.S. Apollo launched. The Apollo-Soyuz mission was the first international manned spaceflight. Holly Cowan Shulman: Exploring Digital History – A new blog through the Virginia Center for Digital History on history and documentary editing and the electronic media. 07-02-1881 – President James Garfield was shot by Charles Guiteau; he died on Sept. 19. 07-02-1890 – Congress passed the Sherman Antitrust Act. 07-02-1937 – Amelia Earhart and her co-pilot Fred Noonan disappeared over the Pacific Ocean while attempting to fly around the world. 07-02-1964 – President Johnson signed the Civil Rights Act of 1964 into law. 07-02-1976 – In Gregg v. Georgia, the Supreme Court ruled that the death penalty was not inherently cruel or unusual. Teaching Position: Assistant Professor Bilkent University, Ankara, Turkey (2003-), Acting Chair (January-July 2007), Department of American Culture and Literature. Area of Research: Twentieth century U.S. history and history of U.S. foreign relations, diplomatoc history. Education: Ph.D. in History, McGill University, Montréal, Canada, May 2000. 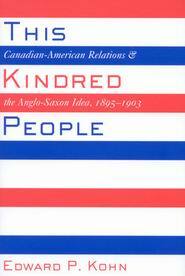 Major Publications: Kohn is the author of This Kindred People: Canadian-American Relations and the Anglo-Saxon Idea, 1895-1903 (McGill-Queen’s University Press, December 2004), He currently working on a new book manuscript tentively entitled A Hot Time in the Old Town: Theodore Roosevelt, William Jennings Bryan, and New York’s Killer Heat Wave of 1896. Kohn is also the author of numerous scholarly journal articles including: “A Necessary Defeat: Theodore Roosevelt and the New York Mayoral Election of 1886,” New York History, Spring 2006; “Crossing the Rubicon: Theodore Roosevelt, Henry Cabot Lodge, and the 1884 Republican National Convention,” Journal of the Gilded Age and Progressive Era, 5, 1, January 2006; and “‘The Member from Michigan’: The Political Isolation and Unofficial Diplomacy of John Charlton, 1892-1903,” Canadian Historical Review, June 2001. Fulbright Scholarship February-November 1991: Renowned international scholarship for study abroad. Completed Master’s degree in New Zealand. Formerly Assistant Professor, Department of History, McGill University, 2000-03. 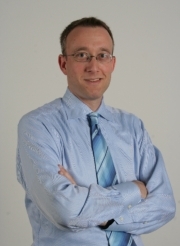 Kohn has written for the popular media including Canada’s Globe and Mail; He has appeared on NTV/CNBC-e for a live, one-on-one studio interview on American presidential election and Turkish-American relations (3 November 2004); On CNN Turk as a member of panel at Turkish-American Association’s “Election Watch 2004,” discussing U.S. presidential elections and the candidates’ campaign strategies (2 November 2004), and gave various Television/Radio interviews to Montreal media commenting on start of war in Iraq (March 2003). I still do not think I have become used to the very flexible concept of “time” in academics. Perhaps because historians regularly deal with decades and centuries, this seems even more pronounced in our craft. My dissertation advisor had an almost Zen-like attitude toward deadlines, viewing them as artificial restraints on the thinking process. “You also need time for reflection,” he told me early on, probably not knowing that my “reflection” took the form of video games, movies, and Simpsons re-runs. As it turned out, though, my seven years of dissertation work was speedy compared to others. Getting my dissertation published as a book took another four years, as the publisher was forced to wait on funding decisions. One result is that I am still reading new reviews of my book, based on words I wrote nearly ten years ago. This reflects the long delay also in getting articles or book reviews published in journals. Recently I wrote a fairly stern letter to the editors of a journal I had submitted an article to, pointing out that I had not heard anything from them in nearly a year. I received an apologetic reply informing me that the both the editor and assistant editor had recently died! The result is that most of us in this profession have several works in “the pipeline” at once: a new project, a work under consideration at a journal, another work undergoing final revisions, and something just about to appear. I am not sure how many other occupations force an individual to plan their projects over several years – perhaps civil engineers building a dam. I try to make sure my graduate students understand that, with the common piece of advice that our occupation is a marathon, not a sprint. With undergraduates, time management is a constant juggling act, and poses pedagogical problems to the instructor. On the one hand, in a class of two hundred you can not really have students handing in papers when they feel like it, and a fair deadline is a necessary leveler. On the other hand, I am keenly aware at all times that my class is not the center of their 18- to 22-year-old universe. I am in competition for students’ time and attention with several other professors, extracurricular activities, and their busy social lives. Thus, when asked for more time by a student (and I am much more sympathetic to “I ran out of time,” than “A distant relative I have not seen in 15 years died”), I try to be flexible to a point. And managing my own time is one reason I entered academics. If I wanted to work nine-to-five, I would have worked in a bank. Time away from the desk, or out of the office, is a necessary part of any creative or intellectual process. My advisor was essentially correct: an historian needs time to reflect, mull, cogitate – to leave all the facts at the back of one’s mind and wait for inspiration. During my Ph.D. work I came up with more ideas walking my dog than sitting at my desk. As Emerson said…. But I guess I will finish this later – the Simpsons is on. 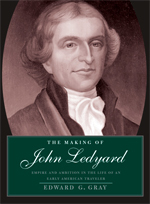 Major Publications: Gray is the author of The Making of John Ledyard: Empire and Ambition in the Life of an Early American Traveler (Yale University Press, 2007); New World Babel: Languages and Nations in Early America (Princeton, N.J.: Princeton University Press, 1999). He is also the Co-editor with Norman Fiering of The Language Encounter in the Americas, 1492-1800 (Berghahn Books, 2000; paperback, 2001), and is also the editor of Colonial America: A History in Documents (Oxford University Press, 2003). Gray is currently working on a new project about the political radical Tom Paine and his quest to build an iron bridge. 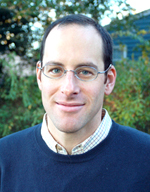 Gray is also the author of numerous journal articles and book chapters including: “Island Hopping: Early American History in the Wider World,” Journal of American History, to appear in a special 2008 forum, “The State of Early America”; “Visions of Another Empire: John Ledyard, an American Traveler Across the Russian Empire, 1787-1788,” The Journal of the Early Republic 24:3(Fall, 2004), and “Cultures of Invention: Exploring Tom Paine and his Iron Bridge in the Digital Age,” Proceedings of the American Antiquarian Society 115:2 (2006), among others. J.M. Stuart Research Fellowship, The John Carter Brown Library, 1993-94. 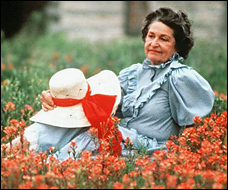 Gray formerly taught at Roosevelt University, Chicago, Illinois, and Depaul University, Chicago, Illinois. Gray is the editor of “Common-place The Interactive Journal of Early American Life” http://www.common-place.org/. It is hard to imagine myself as either a “young” or a “top” historian. I’ll spare you the false modesty r.e. the “top” bit. But the young feels like a stretch. I note that 42 (I’ll be 43 on the first of September) places me among the longer-in-the-tooth cohort of Top Young Historians. But, as the old adage says, age is a state of mind and I feel old. For nine months of the year, I spend my days among people who were born during Reagan’s last term. They greet my references to R.E.O. Speedwagon and Earth Shoes with silence. And while my pop culture awareness was once a point of pride, it is now a source of embarrassment (witness the R.E.O. reference). Much of this is because I have spent the last twenty some odd years becoming a historian. And I will tell you, it has been a long slog. There was the whole grad. school part–wherein it was said of my prelim performance: “Gray’s not fast on his feet, but he did well enough to pass.” There was the three-year job hunt, during which time I discovered that strange species of performance art: the job talk. Then there was the tenure track. In the midst of it all, marriage, children, mortgage, and, yes, life insurance. Nothing makes you feel old like a life insurance policy. I got mine a few years ago, after our second child was born. With the possible exception of a cemetery plot, there is nothing one can buy that is so directly connected to mortality. Most things we buy because–so we are told–they help us live better. We are told the same about life insurance–it is about peace of mind. But the fact is we buy life insurance to die better. Life insurance is a wager on your mortality; and when you look at the age charts that explain your premiums; when you go for the physical–conducted by the insurance company’s non-partisan physician (no best-case scenarios here); when you contemplate just how much you–your self, your total being, mind body and all the rest–are worth, you cannot help but thinking that the grim reaper is not far off. Good luck and G*d Speed. As I filled out all the paper work for my policy, I found myself thinking there is something very peculiar about this human practice of placing monetary value on life. And I could not help wondering how all this came to be. How have we all come to embrace the idea that a life can somehow be given a price? Have Americans always treated life insurance as just another mundane thing to be purchased? How has the idea of valuing a human life for insurance purposes related to other historical practices–slavery, for instance? By the time I got to the doctor’s office, I was beginning to think I was on to something. After being probed and prodded, I rushed home to scavenge material on the history of life insurance and what I found was that, in its earliest forms, life insurance had very little to do with the insured. Instead, it was usually an instrument–essentially a wager–purchased by third parties on some individual’s life. One could purchase a policy on a business associate, a debtor, an artist or craftsperson, or on an entirely random mortal about to go to war, sail the globe, or do some other hazardous thing. Because many believed this all made death profitable, it was outlawed in most European countries until the nineteenth century. England was the notable exception because the English regarded all lives, save that of the monarch, as a species of property (not even the most nimble legal contortion could allow subjects to claim property rights over sovereigns). The next thing I knew, I was telling people about a book I planned to write on the history of the valuation of human life. Funny how these things happen. I guess, in the end, the sheer randomness of it all makes me feel kind of old as well. I have not come to my research interests through a subtle understanding of scholarship’s cutting edge. I have come to them rather like an old antiquarian, prowling dingy used book stores and kitsch- cluttered second-hand shops in search of those bits and pieces of the past that remind me that the world is a very interesting place, and I’d better get back to studying it before my time runs out.